This Romanesque monument fighting against Newton’s law allows 40 visitors up at at time. Tickets can be obtained via internet, over the telephone or in a booth in the square. Visitors must be over 8, climb with no bags, and have to go up 300 steps. 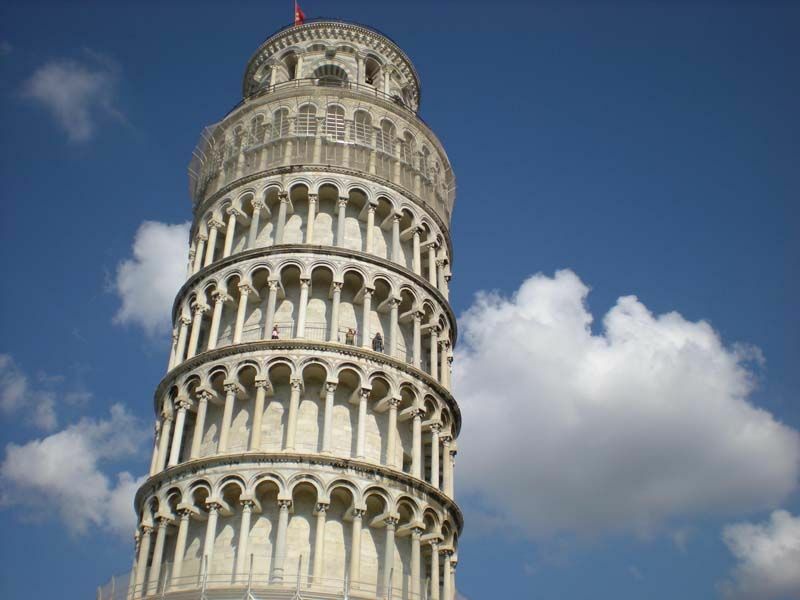 The tower’s construction was begun in 1173 on a clay and sand soil which lies on top of 40 m in depth) of layers of sand and clay which makes it very weak. The soil soon started to show its weakness as the construction had to be interrupted. As centuries elapsed different solutions have been tried which have shown more or less improvement. The last one seems to have been the best of all as it has partially counteracted the inclination of the tower. 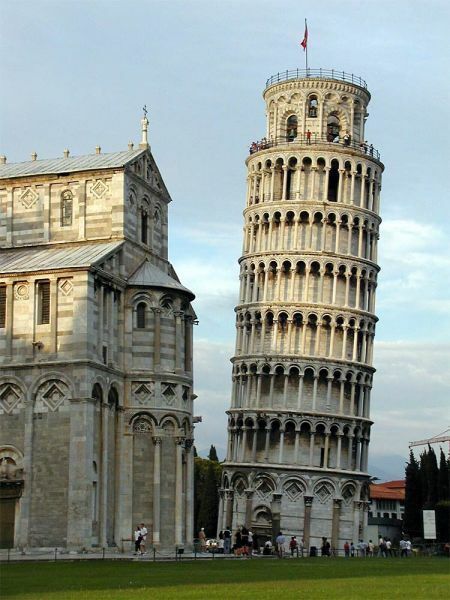 As well as the famed Leaning Tower, the one in Chiesa de San Nicola (Via Santa Maria) and the one in Chiesa di San Michele degli Scalzi on the street of the same name also have an inclination. None of the bells the tower has have sounded for over a half century in case their ringing causes a disaste! 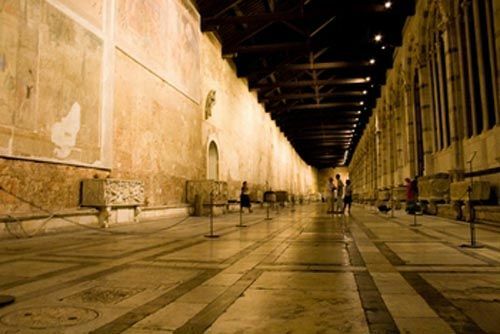 This cemetery located in the Piazza dei Miracoli is the burial site of important people from Pisa who rest in tombs placed around a garden in Greco-Roman sarcophagi . Few frescoes were saved from the WWII. One of them is the 14th century Triumph of Death.